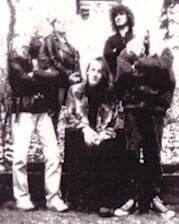 MINOTAUR was formed back in summer of 1983 by three young musicians from Hamburg / Germany. The band decided to play really fast and aggressive Metal like bands as Slayer , Dark Angel, Possessed, etc. 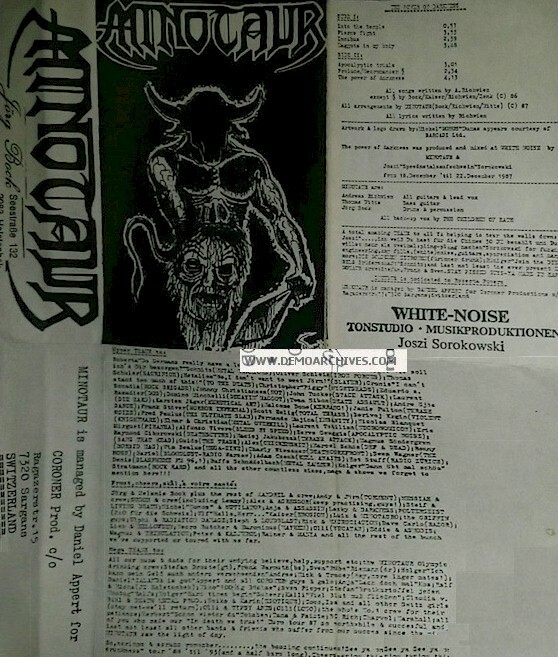 After a couple of line-up changes MINOTAUR entered the studio in 1986 to record their first Demo "The oath of blood" which got pretty good reviews European wide and was also voted for the 7th best Demo in 1986 by the German "Rock Hard" fanzine. MINOTAUR became more professional and they were asked to put a song on the Teutonic Invasion Part I sampler released by Roadrunner Records. 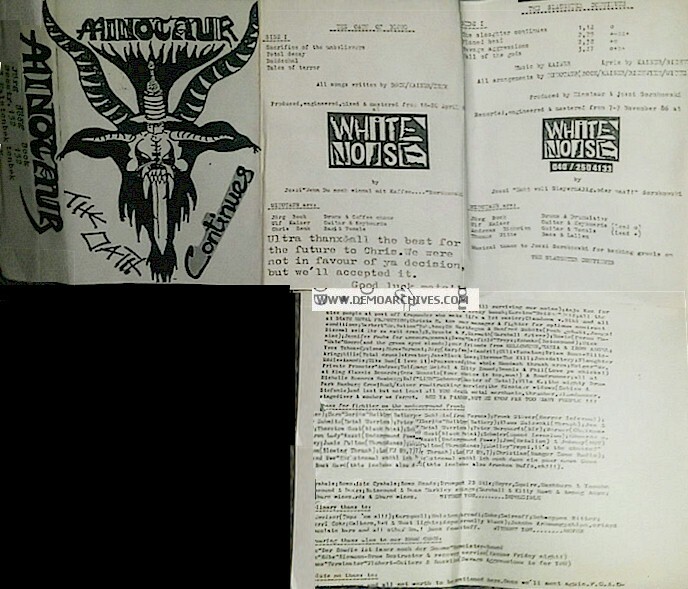 After getting really good reviews again MINOTAUR decided to release a self financed and produced album in 1988. This LP was limited to 2.500 copies which were sold out after a few months (re-release on CD in the 90's). Xeroxed fold out covers to a strange shape. Tapes varied. Xeroxed fold out covers to a strange shape. Tapes varied. Released as their first album, Power of Darkness, a year later w/ bonus tracks.